Pull down, single pole spray faucet, finished in Chrome. Faucet features solid brass construction, easy to change out ceramic disc cartridge, backflow prevention, and dual spray/stream flow. Spray head extends to 24. Certified by cUPC<sup></sup>. Lifetime mechanical warranty, and 2 year warranty on decorative finish. 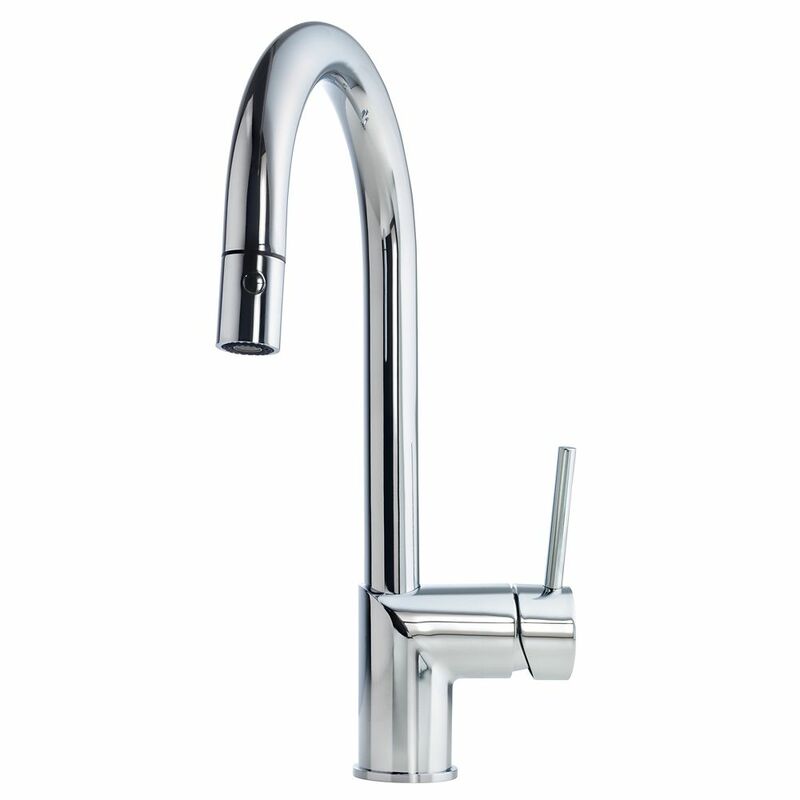 Gooseneck pull down faucet Chr Pull down, single pole spray faucet, finished in Chrome. Faucet features solid brass construction, easy to change out ceramic disc cartridge, backflow prevention, and dual spray/stream flow. Spray head extends to 24. Certified by cUPC<sup></sup>. Lifetime mechanical warranty, and 2 year warranty on decorative finish.